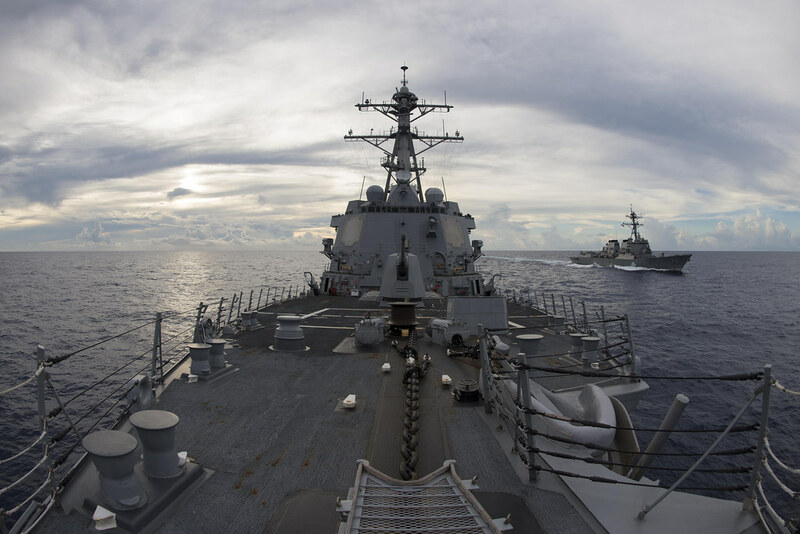 PEARL HARBOR - The guided-missile destroyers USS Momsen (DDG 92), USS Spruance (DDG 111) and USS Decatur (DDG 73) will begin making their way to the Western Pacific this week as part of a Pacific surface action group (SAG) under the operational control (OPCON) of U.S. 3rd Fleet. Under the new initiative called Third Fleet Forward, OPCON of the ships will be maintained by the 3rd Fleet commander for the entire deployment, including when the PAC SAG crosses the International Date Line into the U.S. 7th Fleet area of operations. The initiative provides more operational flexibility to U.S. Pacific Command by applying the command and control capabilities of both numbered fleets based on specific missions rather than geographic areas. Momsen departed Everett, Wash., April 15 and will be joined in the waters off Southern California by Spruance and Decatur, with the embarked Destroyer Squadron 31 staff and Helicopter Maritime Strike Squadron (HSM) 49 detachments, all scheduled to deploy from San Diego April 19. The PAC SAG will conduct routine patrols, maritime security operations and theater security cooperation activities and is also expected to participate in the Oceania Maritime Security Initiative (OMSI). OMSI is a Secretary of Defense program leveraging Department of Defense assets transiting the region to increase the Coast Guard’s maritime domain awareness, ultimately supporting its maritime law enforcement operations in Oceania. As more units deploy as part of this initiative, 3rd Fleet and 7th Fleet forces will complement one another seamlessly in support of security, stability and prosperity in the Indo-Asia-Pacific.